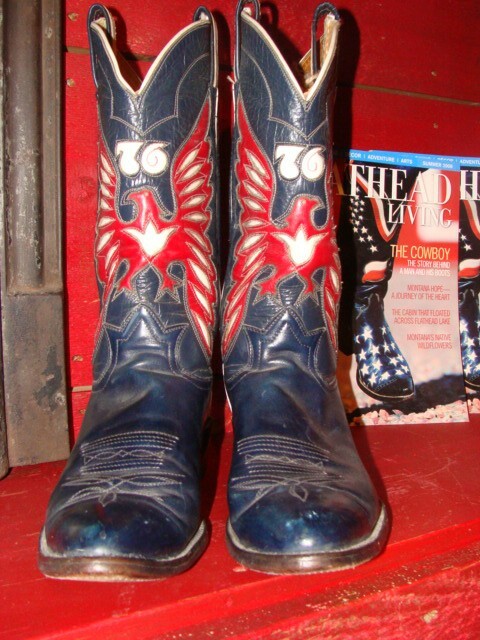 1976 Tony Lama Bicentennial Eagles Cowboy Boots. USA Red white and Blue Inlaid Eagles. Men Size 9. 1976 Tony Lama Bicentennial Eagles Cowboy Boots. USA Red white and Blue Inlaid Eagles. Men Size 9. Please email cowboycabin@centurytel.net with questions or call 406 270-2842.